A summer holiday in the Isarco Valley promises sunny hillsides, swimming in quiet alpine lakes, pleasant freshness in the mountains and many outdoor activities under sunny skies. Statistically, in South Tyrol there are more than 300 days of sunshine a year, offering the best conditions for outdoor activities. The Pension Auerhof offers plenty of hiking options for your summer holidays in the Isarco Valley, with hiking trails for all levels and desires. Enjoy a short walk, or an extended hike in the surrounding mountains of the Dolomites – we guarantee you will find the perfect tours to suit your taste! 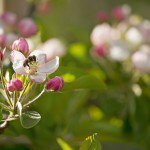 The most leisurely and yet most beautiful hikes take you across the famous apple plateau that between the apple blossom in the spring and the apple festival in the autumn offers a gorgeous natural environment also in the summer. The approximately 10-km apple trail is the ideal choice for families with children or for a leisurely stroll – the mostly level itinerary takes you through green meadows and across lush apple orchards. 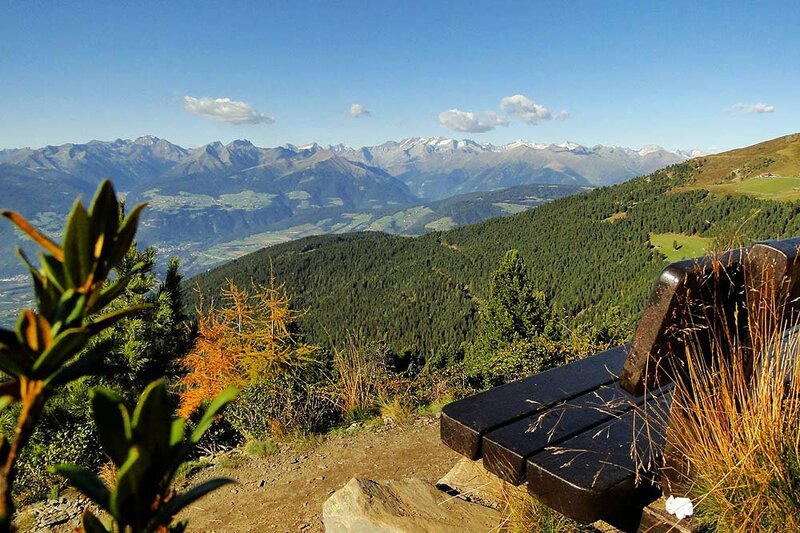 The Bressanone High Trail is highly recommended, just like the Panorama Path to the lodge Rossalm, where you may find an adventure playground for children. Avid hikers will feel right at home in the surrounding Dolomites, which besides many day trips and long distance trails also offer challenging climbing paths. Far away from the heat of summer, you may enjoy your vacation in the Isarco Valley along babbling brooks and on green pastures, while the spectacular peaks of the Dolomites offer unforgettable sights! If you wish to escape the summer heat and yet do not want to flee into the high mountains of the Isarco Valley, you should visit one of the lakes in the Isarco Valley. Lake Caldaro or the lakes in Monticolo offer water temperatures of up to 24° C and plenty of refreshment in a magnificent panorama. For great water fun for the entire family even on rainy summer days, visit the water world Aquarena in Bressanone and the water park in Chiusa. In the historic town centre of the Episcopal city of Bressanone, you may experience the region of South Tyrol from its cultural side.